We created our Evolution Aura Alkaline Water Filter using a process that’s similar to the way nature creates its own natural alkaline water. We achieve this by removing impure contaminants and running the clean water through our Alkaline Core. 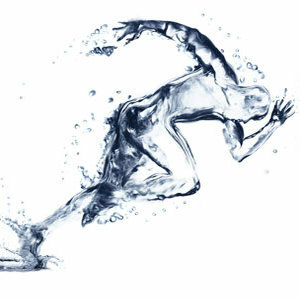 Evolution Alkaline Water tastes like natural artesian spring water. Our water is deeply refreshing and smooth, with a little bit of a sweet taste that’s more satisfying to the palette than plain water or stripped-down Reverse Osmosis water. Why do Evolution Alkaline Water and Natural Artesian Spring Water taste alike you might ask? First off, they both get their healthy alkalinity from bicarbonate minerals. Our third filter mimics a stream to create this alkalinity. Second, they are both full of age- and disease-fighting antioxidants, better known as negative Oxidation Reduction Potential (ORP). This negative ORP is what makes Evolution Alkaline water so special and so much different than bottled ‘alkaline’ or ‘artesian spring’ waters. The negative ORP doesn’t keep in the bottle (only 72 hours or so), so by the time you purchase the bottles, the main antioxidant benefit is gone. It’s like buying canned veggies vs. fresh veggies. The best way to get as many benefits as possible from your water is to get it right at the source. 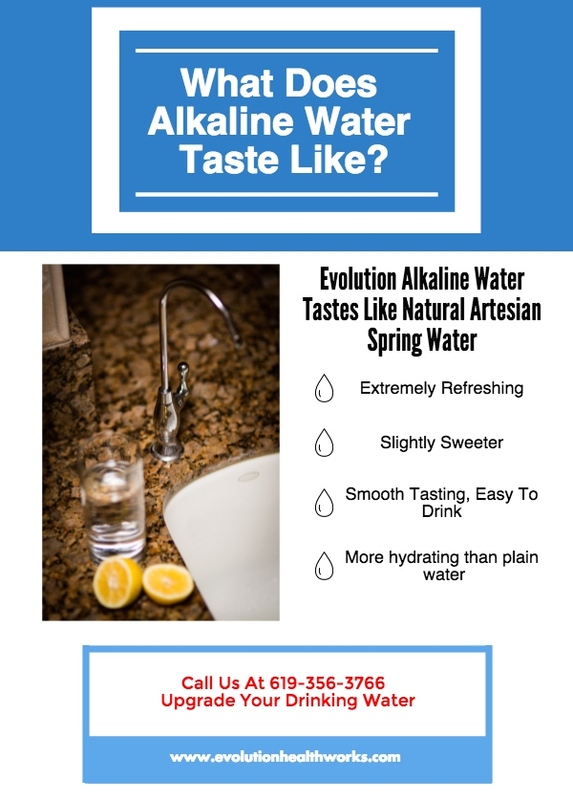 The Aura Alkaline Water Filter from Evolution Healthworks does just this, providing you with delicious alkaline water on tap in your home or business. If you’re looking for refreshing and smooth alkaline water give us a call at 619-356-3766! This entry was posted in Alkaline on September 10, 2015 by Drink H2O.